In League of Legends, there is no such thing as a perfect player. Everyone has their own strengths and weaknesses, and we all lack something in one form or another. Not everything comes naturally, and improvement is learned through hard work, dedication, and education. When you find something that you’re struggling to grasp, learning and trying to fix the issue will allow you to become a better player. Ranked play requires a lot of self-discipline, focus, and quite a bit of luck in order to win games and climb, so fixing any issues or doubts you may have before heading into ranked can put the odds in your favor to win the game. In this Mobalytics guide by PicklePants, we will discuss 5 things that many players struggle with which can be easy to fix. All 5 topics we’re covering may not impact everyone depending on rank and skill level, however, we believe that by the end of the article, you’ll take away something that will make you a better player. In a game that has over 140 champions, each having different dynamics and interesting gameplay, it is easy to see why many players struggle with solidifying a consistent and strong champion pool. When it comes to ranked, I recommend that you stick to a small champion pool of 2 to 5 champions, and only play those champions up until they stop working for you. As you’re required to choose 2 roles, I would recommend that you have 3 or 4 champions on your main role, followed by 1-2 champions for your secondary role depending on how popular those champions are. In Season 8, I only played 22 different champions. My Three most popular champions held over half of my games played. If you learn the ins and outs of said chosen champions, you will find yourself being able to climb more efficiently. This is because you will be able to play to those champions strengths, and learn to play around their weaknesses. In comparison, if you were to play every champion in ranked, you would not have the skill required to play them to their full potential. This can be exploited by the enemy- which can often cost you the game. For example, it can be rather easy to abuse a rookie Yasuo compared to somebody who has over five hundred games on him. On a mechanically demanding champion like Yasuo, the more experience you have, the better. In Season 9, we will be seeing ranks per role. Personally, I would avoid some parts of the new system and only play the roles that you’re comfortable with. For me, I will be sticking to Support and either Top or ADC, and will most likely not be playing Mid or Jungle. Similar to learning the ins and outs of your main champions, it will be rather difficult for you to find consistent success in every role. As you will not have the time to learn every role in its entirety, you will struggle to be as good as somebody who mains that role. For example, a Diamond 1 Mid laner will outperform another Diamond 1 player if they’re on off role. All you need to do is pick 5 champions that you’re good at and enjoy playing. Out of this list, learn the ins and outs of each champion by playing them consecutively. After you’re comfortable, it’s time to take them into solo queue. Play these champions and only these champions in ranked up until one of them stops working for you, IE they fall out of meta or you no longer enjoy them. If you want to replace a champion with another, be sure to take the time and research once again before risking your LP. It’s not worth learning on the fly, especially if the champ is mechanically demanding or different than what you’re used to. In regards to roles, stick to two – your main and an off-role. If you get assigned a role you aren’t very comfortable in, opt for a champion that is simpler to play and easier to execute so you can still be serviceable if you fall behind. We’ve all experienced the “just one more game” feeling, and this is no truer than when you’re on a losing streak. When you’re tilted, the most simple League of Legends basics fly out of the window, with your sole focus on winning the game rather than improving. Consistency in League of Legends cannot be undervalued. Competent enemies can tell when you’re playing inconsistently, and a smart enemy will be able to abuse the fact that you’re tilted. Realistically, when you’re tilted or frustrated at the game, you will not be capable of playing at the level required to beat the enemy. While you may get the occasional win, it’s never a good idea to chase lost LP. In Season 8, I recklessly lost 18 games in a row. The great decline of PicklePants. If you notice that you’re making silly mistakes such as missing CS or making basic errors, you’re probably starting to tilt. Tilt is one of the biggest enemies in League of Legends after toxicity, trolls, and Teemo. It can really creep up on you over the long term if you aren’t paying attention. For the most part, preventing yourself from queueing again will solve the problem. You should try to take a step back and not play League of Legends for a few days while you let your mind and body reset. If you’re in a match, mute everyone in your match if you haven’t already and try to pretend you’re playing with and against bots. Focus on your own play and what you can control or you’ll find descending into a rabbit hole. For more techniques for managing tilt and other mentality related aspects, check out our article, How to Maintain the Optimal Mindset for Climbing the Ranked Ladder in League of Legends. Have you ever been to a sports event, maybe something like a basketball game? Before the game, the players on both teams do basic drills to warm up their dribbling, shooting, and other basic mechanics. Doing so helps to activate their muscle memory and get them in the flow of things. Likewise, warming up in League of Legends is incredibly useful. It is recommended that you play a warm-up game prior to indulging into ranked gameplay to ensure that you have the best chance possible at winning. If you’re not warmed up, you may struggle to perform well on your champion. For example, if you enjoy playing somebody who is mechanically challenging like Yasuo, Zed. or Ahri, you may struggle to perform well enough on them to win the game. This is because they are mechanically demanding and easily exploited when played poorly. You may have only been away for a few hours, a couple days or you may have just got home from school. Before queuing for Ranked, go ahead and play a normal game to get warmed up. Playing a warm-up game before heading into Ranked is a great way of getting into the feel and rhythm of League of Legends. It should be apparent by now that League requires some form of muscle memory to play at peak performance. Without it, it will be rather difficult to perform well on your champion. A lot of different things may need to be practiced before heading into Ranked. Thankfully, most of them can be knocked out in a game or two. For example, you may need to practice last-hitting or using a certain sequence of combos. This is where warming up prior to queuing for ranked can come in handy as it will allow you to reinforce the muscle memory for your favorite champion. The Practice Tool, ARAM, or Nexus Blitz are all also helpful when it comes to warming up. Follow this habit every day and prior to Ranked grinding and you WILL see positive results over the long run. 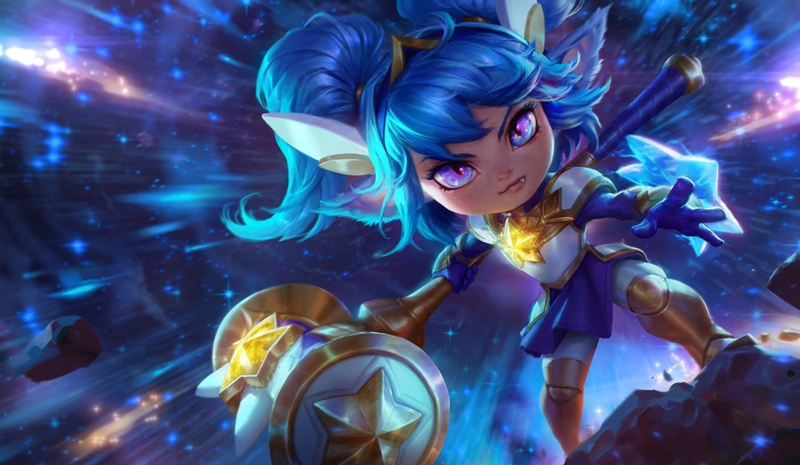 We just touched upon how important it is to warm up in League of Legends, but you should also put in the extra effort to practice and master certain aspects of your champions gameplay. For example, many champions have specific ability combinations and animation canceling that can allow them to be played more optimally or have more options. I recommend that you practice as much as you can and whenever you get the chance. When laning against an experienced one trick, it can be really disheartening to play against them if they’ve mastered the ins and outs of that champion. Riven for example can often perform some mind-boggling and impressive combos once she has been mastered. Knowing your champion and being able to actually perfect the combos will make you a better player. For example, the voice of Mobalytics one and only Exil, has a tutorial on 10 different combos you can master on Riven. Take your desired champion into the Practice Tool and not leave until you’ve mastered a combo. Play normal games until you are ready to play that champion in ranked. Practice makes perfect in League of Legends. If you’re able to go out of your way in order to practice certain champion mechanics, you will see yourself perform better than somebody who plays a champion casually. You can master their combos by watching videos of how it’s done, trying to recreate them, and then putting them to practice in a real match. When it comes to climbing the ranks, it can be near possible for you to hit a high rank without doing some form of research. Experience plays a huge part of climbing and the more experience you have, the better. Many players do some form of limited “research” by watching videos or streams, but they do not always put what they learn into practice. If you are not actively searching and trying to improve your own gameplay, then you may come up short when it comes to climbing. The lack of effort in this area can often be the difference between tiers. Around Gold to Plat, you really need to start learning the ins and outs of learning matchups, stay on top of finding optimal builds, and learn how to make optimal macro decisions in relation to knowing when to rotate, group, or keep farming. The players that do can get to the next level more easily, the ones that don’t tend to get stuck at these ranks. If you do your research, you can take what people suggest and try to implement what they say or do into your own gameplay and adapt from there. For example, If you were to watch Exil’s video like suggested above, you can try to perfect some of the combos he suggests, and think about when you can use them. Once you’ve figured that out, take the advice into the Practice Tool and normal games until you’re ready to try it in ranked. There is also a wide variety of different educational content already on Youtube and around the web. Go out of your way to find information about the game, and actually put in the effort to study it. For example, domisumReplay, the channel shown above, uploads videos of specific matchups played by high-elo players. It’s a great resource to really dive in and study their actions and choices and compare them to your own play. When it comes to improving at League of Legends and gaining a high rank, it is important that you focus on what you are doing rather than what everyone else is doing. Any advantage you can give yourself in terms of knowledge or skill can be what puts you ahead of your peers and you should look to maximize them. Thanks for reading! What’s stopping you from climbing? Let us know what’s got you stuck in the comments and we’ll try to help you out. As always you can find us in our Discord if you have any questions or feedback. Amazing article! I just found your posts and love them!